Check to see if the Auto Recycler is licensed by looking on their website or asking on the phone. Per State regulations the license number should be displayed on all advertising. Schedule an appointment for the tow truck to pick up your vehicle. 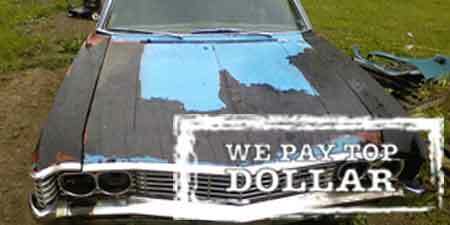 Receive cash for your junk car. All auto salvage yards need to be licensed by the State of Rhode Island and insured. Be certain the business you are dealing with is legal. If the monthly cost of repairing the vehicle becomes more expensive then monthly payments for a new car it is time to sell your existing car. When your car is not running and you are believe that the car will have repeated repairs in the future it is often less expensive to get a new car. Call us today to get a quick quote on how much your car is worth 401-295-4174.